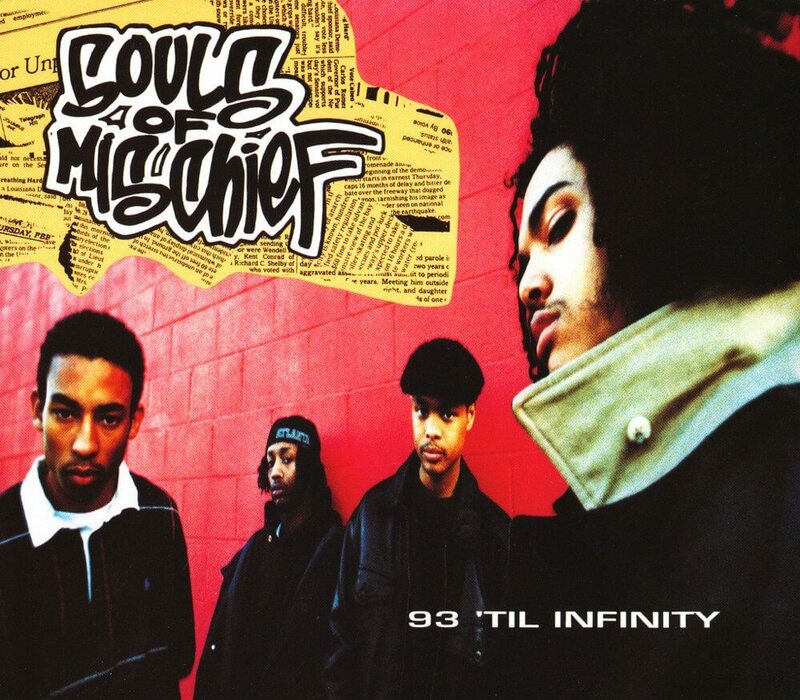 “93 Til Infinity” is the lead single and title track of Souls Of Mischief‘s 1993 debut album. The song reached #72 on the Billboard Hot 100. The group consists of four members (A-Plus, Opio, Phesto, and Tajai) and is a subgroup of the Oakland, California hip-hop collective Hieroglyphics. The album was released on September 28, 1993. It also featured singles “That’s When Ya Lost” and “Never No More” which reached the Hot Rap Singles but never charted on The Billboard Hot 100. According to Allmusic author Steve Huey, “Although the title cut is an underappreciated classic, 93 ’til Infinity makes its greatest impression through its stunning consistency, not individual highlights.” Huey also goes on to remark that 93 ’til Infinity is “one of the most slept-on records of the ’90s”.